For the politician from Louisiana, see Don Hathaway. Donny Edward Hathaway (October 1, 1945 – January 13, 1979) was an American soul singer, keyboardist, songwriter, and arranger. Hathaway signed with Atlantic Records in 1969 and with his first single for the Atco label, "The Ghetto", in early 1970, Rolling Stone magazine "marked him as a major new force in soul music." His enduring songs include "The Ghetto", "This Christmas", "Someday We'll All Be Free", "Little Ghetto Boy", "I Love You More Than You'll Ever Know", signature versions of "A Song for You", "For All We Know", "Where Is the Love" and "The Closer I Get to You", two of many collaborations with Roberta Flack. "Where Is the Love" won the Grammy Award for Best Pop Performance by a Duo or Group with Vocals in 1973. At the height of his career, Hathaway was diagnosed with paranoid schizophrenia. On January 13, 1979, Hathaway's body was found outside the luxury hotel Essex House in New York City; his death was ruled as suicide. Hathaway, the son of Drusella Huntley, was born in Chicago but raised with his grandmother, Martha Pitts, also known as Martha Crumwell, in the Carr Square housing project of St. Louis. Hathaway began singing in a church choir with his grandmother, a professional gospel singer, at the age of three and studying piano. He graduated from Vashon High School in 1963. Hathaway then studied music on a fine arts scholarship at Howard University in Washington, D.C., where he met close friend Roberta Flack. At Howard, he was also a member of the Alpha Phi Alpha fraternity. Hathaway formed a jazz trio with drummer Ric Powell while there but during 1967 left Howard just before completing a degree, after receiving job offers in the music business. Hathaway worked as songwriter, session musician and producer for Curtis Mayfield's Curtom Records in Chicago. He did the arrangements for hits by the Unifics ("Court of Love" and "The Beginning of My End") and took part in projects by the Staple Singers, Jerry Butler, Aretha Franklin, the Impressions and Curtis Mayfield himself. After becoming a "house producer" at Curtom, he also started recording there. 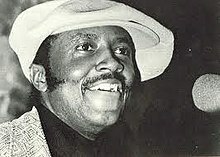 Hathaway recorded his first single under his own name in 1969, a duet with singer June Conquest called "I Thank You Baby". They also recorded the duet "Just Another Reason", released as the b-side. Former Cleveland Browns president Bill Futterer, who as a college student promoted Curtom in the southeast in 1968 and 1969, was befriended by Hathaway and has cited Hathaway's influence on his later projects. That year, Hathaway signed to Atco Records, then a division of Atlantic Records, after being spotted for the label by producer/musician King Curtis at a trade convention. He released his first single of note, "The Ghetto, Pt. 1", which he co-wrote with former Howard roommate Leroy Hutson, who became a performer, writer and producer with Curtom. The track appeared the following year on his critically acclaimed debut LP, Everything Is Everything, which he co-produced with Ric Powell while also arranging all the cuts. His second LP, Donny Hathaway, consisted mostly of covers of contemporary pop, soul, and gospel songs. His third album Roberta Flack & Donny Hathaway was an album of duets with former Howard University associate and label mate Roberta Flack that established him, especially on the pop charts. The album was both a critical and commercial success, including the Ralph MacDonald-penned track "Where Is The Love", which proved to be not only an R&B success, but also scored Top Five on the pop Hot 100. It sold over one million copies, and was awarded a gold disc by the RIAA on September 5, 1972. The album also included a number of other covers, including versions of Carole King's "You've Got a Friend", "Baby I Love You", originally a hit for Aretha Franklin, and "You've Lost That Loving Feeling". Perhaps Hathaway's most influential recording is his 1972 album, Live, which has been termed "one of the best live albums ever recorded" by Daryl Easlea of the BBC. The album can also be found on the British online music and culture magazine The Quietus' list of "40 Favourite Live Albums". It was recorded at two concerts: side one at The Troubadour in Hollywood, and side two at The Bitter End in Greenwich Village, Manhattan. Donny Hathaway is also known as the co-composer and performer of the Christmas standard, "This Christmas". The song, released in 1970, has become a holiday staple and is often used in movies, television and advertising. "This Christmas" has been covered by numerous artists across diverse musical genres, including The Whispers, Diana Ross, Aretha Franklin, The Temptations, The Four Tops, Stevie Wonder, Alexander O'Neal, Christina Aguilera, Chicago, Harry Connick, Jr., Dru Hill, *NSYNC, Gloria Estefan, Boney James, The Cheetah Girls, Chris Brown, Anthony Arnett (First Baptist Bracktown Christmas Celebration), Patti LaBelle and Mary J Blige (A Mary Christmas, album 2013), Seal, and Train. Hathaway followed this flurry of work with some contributions to soundtracks, along with his recording of the theme song to the TV series Maude. He also composed and conducted music for the 1972 soundtrack of the movie Come Back Charleston Blue. In the mid-1970s, he also produced albums for other artists including Cold Blood, where he expanded the musical range of lead singer Lydia Pense. His final studio album, Extension of a Man came out in 1973 with two tracks, "Love Love Love" and "I Love You More Than You'll Ever Know" reaching both the pop and R&B charts. However, it was probably best noted for his classic ballad, "Someday We'll All Be Free" and a six-minute symphonic-styled instrumental piece called "I Love The Lord, He Heard My Cry". He told UK music journalist David Nathan in 1973, "I always liked pretty music and I've always wanted to write it." Added the writer, "He declined to give one particular influence or inspiration but said that Ravel, Debussy and Stravinsky were amongst whom he studied." He returned to the charts in 1978 after again teaming up with Roberta Flack for a duet, "The Closer I Get to You" on her album, Blue Lights in the Basement. The song topped the R&B chart and just missed the number 1 spot on the Hot 100 (reaching #2). Atlantic then put out another solo single, "You Were Meant For Me" shortly before his sudden death. Liner notes for later releases of his final solo album explain: "Donny is no longer here, but the song "Someday We'll All Be Free" gathers momentum as part of his legacy... Donny literally sat in the studio and cried when he heard the playback of his final mix. It's pretty special when an artist can create something that wipes them out." Edward Howard, lyricist of the song, adds, "It was a spiritual thing for me... What was going through my mind at the time was Donny, because Donny was a very troubled person. I hoped that at some point he would be released from all that he was going through. There was nothing I could do but write something that might be encouraging for him. He's a good leader for young black men". Hathaway met his wife, Eulaulah, at Howard University and they married in 1967. They had two daughters, Eulaulah Donyll (Lalah) and Kenya. Lalah Hathaway has enjoyed a successful solo career, while Kenya is a session singer and one of the three backing vocalists on the hit TV program American Idol. Both daughters are graduates of the Berklee College of Music. Donny also has a third daughter, Donnita Hathaway. During the best part of his career, Hathaway began to suffer from severe bouts of depression. It was found that he was suffering from paranoid schizophrenia and was known to take strong medication daily to try to control the illness. However, Eulaulah Hathaway has said that her husband was frequently less than diligent about following his prescription regimen. Donnita Hathaway has said that her mother gave her similar information about her father, saying that when he took his medication, he was generally fine, but that when he did not, it was impossible for her to deal with him. Over the course of the 1970s, Hathaway's mental instability wreaked havoc on his life and required several hospitalizations. The effects of his depression and melancholia also drove a wedge in his and Flack's friendship; they did not reconcile for several years, and did not release additional music until the successful release of "The Closer I Get To You" in 1978. Flack and Hathaway then resumed studio recording to compose a second album of duets. Sessions for another album of duets were underway in 1979. On January 13 of that year, Hathaway began a recording session at which producers/musicians Eric Mercury and James Mtume were present. Mercury and Mtume each reported that although Hathaway's voice sounded good, he began behaving irrationally, seeming to be paranoid and delusional. According to Mtume, Hathaway said that "white people" were trying to kill him and had connected his brain to a machine, for the purpose of stealing his music and his sound. Given Hathaway's behavior, Mercury said that he decided the recording session could not continue, so he aborted it and all of the musicians went home. Hours later, Hathaway was found dead on the sidewalk below the window of his 15th-floor room in New York's Essex House hotel. It was reported that he had jumped from his balcony. The glass had been neatly removed from the window and there were no signs of struggle, leading investigators to rule that Hathaway's death was a suicide. However, his friends were mystified, considering that his career had just entered a resurgence. Flack was devastated and, spurred by his death, included the few duet tracks they had finished on her next album, Roberta Flack Featuring Donny Hathaway. According to Mercury, Hathaway's final recording, included on that album, was "You Are My Heaven", a song Mercury co-wrote with Stevie Wonder. Hathaway's funeral was conducted by the Reverend Jesse Jackson. Later in 1979, the Whispers recorded the tribute song, "Song for Donny", for their self-titled breakthrough album. The song reached #21 on the R&B chart. That same year, they used that tribute song's arrangement to do a cover of Hathaway’s song "This Christmas," turning the uptempo Christmas gem into a classic, sentimental love song, a staple of their well-received "Happy Holidays To You" Christmas album. According to Allison Keyes from NPR, Hathaway's solo recordings are "part of the foundation of American soul music" and have "influenced performers from R&B singers Alicia Keys & Aaliyah to rapper Common to singer-guitarist George Benson". He was named the 49th greatest singer of all time in a 2010 list published by Rolling Stone. Justin Timberlake called him "the best singer of all time." Raúl Midón said that Hathaway is "the strongest soul singer that ever existed" and compares his vocal technique to a classical vocalist. "When Donny sings any song, he owns it," Stevie Wonder was quoted by David Ritz as saying. Amy Winehouse called Hathaway her favorite artist of all time. Most rock critics during the 1970s found Hathaway's music largely inscrutable; Robert Christgau once called it "bourgeoisification at its genteel worst". The critic later regarded him as "a synthesizer of limitless cultural aspiration" who "conveyed a sense of roots" and was never content with "the classbound pop fantasies of Ashford & Simpson", but mused that "the idealistic credulousness of a project that incorporated pop, jazz, a little blues, lots of gospel, and the conservatory into an all-over black style is linked to the floridity that mars much of his work." On soul group the Whispers' 1980 self-titled album, the group paid homage with "Song for Donny", written by fellow soul singer Carrie Lucas. The song was set to the melody of Hathaway's "This Christmas". In 1999 Aaron Hall recorded a brief tribute version of "Someday We'll All Be Free" on the third album for his group Guy titled Guy III, with Teddy Riley and Damion Hall. In September 2001, Alicia Keys performed "Someday We'll All Be Free" on the 9/11 televised tribute concert America: A Tribute to Heroes. In 2005, neo-soul singer songwriter guitarist, Raul Midón (Blue Note) worked with Hathaway's longtime producer Arif Mardin (known for collaborations with the Bee Gees, Chaka Khan, Bette Midler, Norah Jones, and Aretha Franklin) and created a tribute song to Hathaway called "Sittin' in the Middle". In her 2006 song "Rehab", Amy Winehouse sings of learning from "Mr. Hathaway" instead of going to rehab. In 2007, Deniece Williams covered "Someday We'll All Be Free" for her Love, Niecy Style album. Williams later shared that she broke down in tears in the studio while recording. In 2008, Ed Pavlic published Winners Have Yet to Be Announced (University of Georgia Press), poems re-imagining the life of Donny Hathaway. The song "What a Catch, Donnie", from Fall Out Boy's fourth studio album, Folie à Deux (2008), is named for Hathaway and mentions Roberta Flack, his writing partner. Bizzy Bone's song entitled "A Song for You", is a track that includes an interpolation of Donny Hathaways's original recording of the same name. In the 2013 song "Classic", band MKTO references writing songs "like Hathaway". In 2017, in the episode "The First Day of the Rest of Your Life" from AMC's The Walking Dead (tv series). The character of Sasha, played by Sonequa Martin-Green, commits suicide while listening to "Someday We'll All Be Free"
^ Rolling Stone. March 8, 1979, p. 17. ^ Cheers, D. Michael (April 1979). "The Mysterious Death of Donny Hathaway". Ebony. XXXIV (6): 61–66. ISSN 0012-9011. Retrieved November 11, 2014. ^ Steve Huey, Rovi. "Donny Hathaway". VH1. Viacom International Inc. Retrieved August 19, 2012. ^ Murrells, Joseph (1978). The Book of Golden Discs (2nd ed.). London: Barrie and Jenkins Ltd. pp. 312/3. ISBN 0-214-20512-6. ^ "Music - Review of Donny Hathaway - Live". BBC. November 17, 1989. Retrieved August 26, 2015. ^ "Features | The Quietus Writers' 40 Favourite Live Albums". The Quietus. Retrieved August 26, 2015. ^ "Come Back Charleston Blue". Discogs.com. Retrieved August 19, 2012. ^ David Nathan (January 1, 2009). "Donny Hathaway: Reassessing His Musical Life". Soulmusic.com. Retrieved August 19, 2012. ^ Tobler, John (1992). NME Rock 'N' Roll Years (1st ed.). London: Reed International Books Ltd. p. 322. CN 5585. ^ a b Allison Keys (June 21, 2010). "Donny Hathaway: Neglected Heart Of Soul". National Public Radio. Retrieved April 6, 2016. ^ a b "100 Greatest Singers". Rolling Stone. December 2, 2010. Retrieved April 6, 2012. ^ Lee Hildebrand (July 18, 2012). "Donny Hathaway: Live + In Performance". East Bay Express. Retrieved April 6, 2016. ^ "Island Records to release new Amy Winehouse album". National Post. October 31, 2011. Retrieved April 6, 2016. ^ Christgau, Robert (1981). "Subjects for Further Research". Christgau's Record Guide: Rock Albums of the Seventies. Ticknor & Fields. ISBN 0899190251. Retrieved March 15, 2017. ^ a b c d "Donny Hathaway US albums chart history". allmusic.com. Retrieved March 9, 2011. ^ a b "Donny Hathaway US certification history". riaa.com. Retrieved March 9, 2011. ^ a b "Donny Hathaway UK chart history". chartstats.com. Retrieved March 9, 2011. ^ "Donny Hathaway US singles chart history". allmusic.com. Retrieved March 9, 2011. This page is based on the Wikipedia article Donny Hathaway; it is used under the Creative Commons Attribution-ShareAlike 3.0 Unported License (CC-BY-SA). You may redistribute it, verbatim or modified, providing that you comply with the terms of the CC-BY-SA.